Zarda pulao or sweet rice is a popular dish of South Asia. It’s equally popular in India and Pakistan and is mainly made on celebration and festivals like weddings, diwali etc..
Zarda pulao is also popular as meethe chawal in Punjab, kangra valley and many states of India. 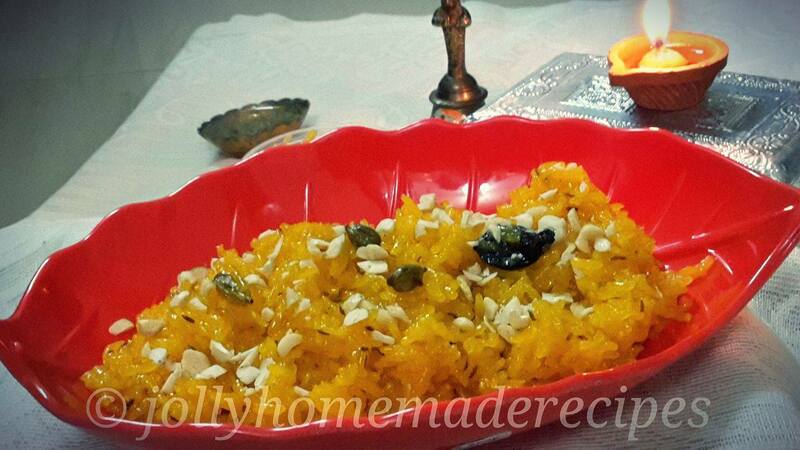 This pulao is so aromatic with saffron strands and vibrant yellow colour and mild fragrance and also its name. 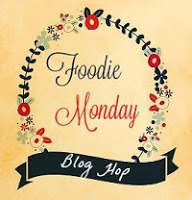 Our today's Foodie Monday Bloghop theme is based on "North Indian Cuisine" So I made this aromatic and flavourful pulao on the occasion of Vasant Panchami. Vasant Panchami - it's a famous festival when Saraswati, the goddess of intellect, learning and wisdom is worshipped. The colour yellow holds a special meaning for this celebration as it signifies the brilliance of nature and the vibrancy of life. 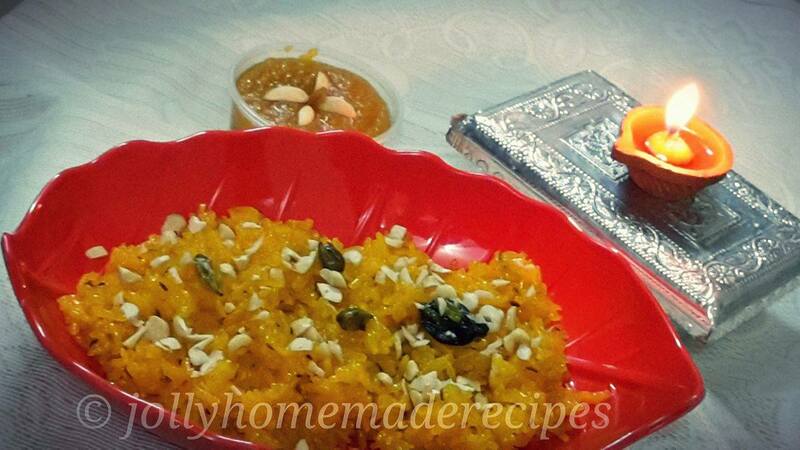 So I made both saffron rice and rava kesari halwa. 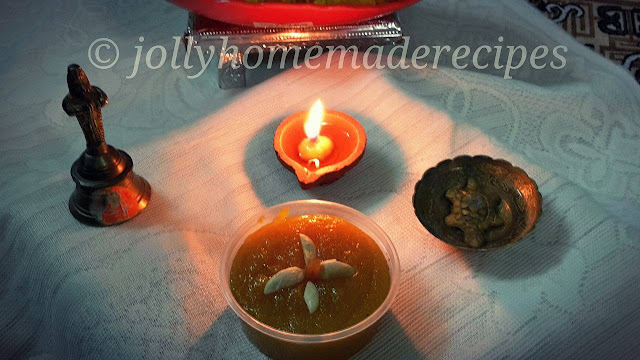 This is one of our family favourite dish and I usually made on every festival season. This recipe has been passed on to me by my mother, and to her from her mother, and so on! I just made a change in this recipe I added a fennel seeds(saunf)..something different flavour...hmmmmm yumm !! This pulao is actually loaded with lots of dry fruits and desi ghee, brings out the taste from whole spices, kewra water. Sweet rice is very easy to make and a perfect desert for small pooja, party and get together at home. This is one of the desert which is liked by every person and loved by kids also. It is easy to make and consists of simple ingredients. 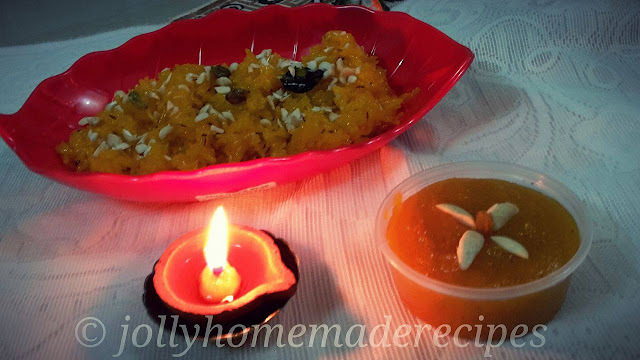 Learn how to make zarda pulao with very simple and easy steps. 1. Soak rice in water for 1 hour. 2. Mix milk, food colour, kesar, rose water and sugar in a bowl. 3. Heat 4-5 cups of water in a pan. Once it comes to boil, add the soaked rice without water. 4. Cook till the rice is about 80 % done, then strain the water and mix half of desi ghee. 5. Heat the remaining half of desi ghee in a pan. Add dry fruits, fennel seeds and fry till golden-brown. 6. Add whole spices and fry for about half a minute. Add the milk mixture and boil. 7. Add the rice and cook on low flame for 10-12 minute with cover. 8. Mix rice with a fork for better presentation. 9. Garnish with few chopped almonds and Serve hot. Looks yummy !! Lovely share dear. Love the color of the pulao. Looks so delicious! Oh I like this...sure to try.. Thanks a lot dear Jeena..waiting !! 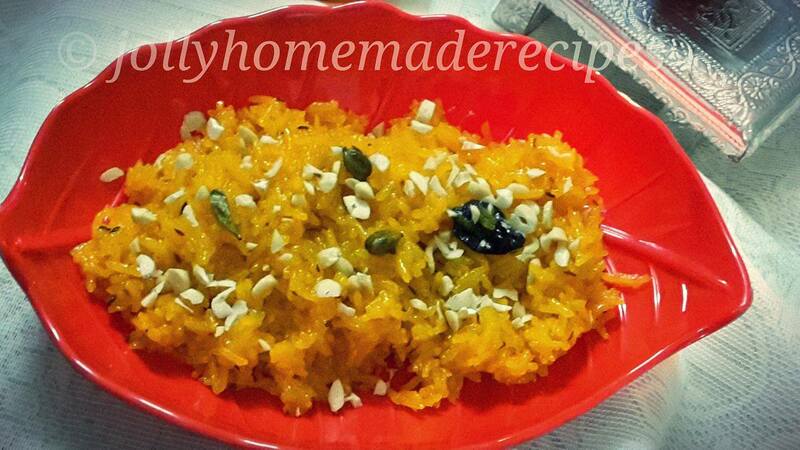 You know Zarda Pulao, Punjabi gur ke chawal and Sindhi recipe Tahiri has more or less similar preparation. And this rice preparation is absolutely delicious and mainly prepared on special occasions like the arrival of a new year or when you'll start something new. Your preparation is looking healthy, flavorful and super delicious!